Our goal is to make put First U Chicago information and news at your fingertips, whether you are a newcomer or already a friend or member. Welcome! Generally, email addresses of individuals are displayed in such a way that you will copy the information and supply the @ yourself. This is a little inconvenient, but helps protect our members and friends from spam. 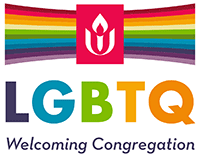 Clicking the website title, First Unitarian Church of Chicago, will always take you to the home page. When you click on DIRECTIONS, you are taken to a Google map showing the location of the church. If you click on “Directions from your current location”, the map is expanded to show you the route from your location to the church. Click on DIRECTIONS again to close the map. SEARCH allows to look for specific topics that appear on the website. For example, if you enter “black lives matter” in the search box and then click Search, you will be shown articles with information about that subject. Click on any of the items to see the entire article. To return to the list of search results, use your browser’s back button or simply click SEARCH again. CONTACT US opens a new window that lets you send an email to First Unitarian staff and committees. If the group that you want to reach is not in the list, send your request to the office. The Facebook icon takes to the First Unitarian Church of Chicago Facebook page. If you don’t have a Facebook login, you will need to create one. The Facebook page contains photos and videos of recent events, announcements of some of the upcoming events, and posts of events that have occurred and the history of the church. Check it out! The Main Menu mostly links to pages that don’t change much day to day. These pages tell you about our beliefs, our committee, our history, and our plans for the near future. This Sunday’s Service gives a quick view of the upcoming 10:00 AM service. The three boxes in the center of the page point you to pages that may be of more interest to potential visitors and new members. The contents of these boxes may periodically be changed. Announcements lists all posts that contain information about church that do not pertain to a specific date and time. If the information is requesting volunteers, then it is listed under Volunteers rather than Announcements. Monthly Reports lists the reports submitted by committees and small groups. Review these reports to get a better understanding of these groups. This Sunday’s Service provides information about the coming Sunday’s service. Upcoming Services describes future services. Events lists all of the upcoming activities that are scheduled by First Unitarian. Podcasts of past sermons are available for you to play. Donations can be used to contribute money to the church and pay your pledge. Donations can be made using a checking or saving account or a debit or credit card. Three UUA Logos appear on the far right. These will take you to the appropriate UUA Site. We hope you enjoy the new website. Please feel free to contact us if you have suggestions or feedback. *Directions and Search work on the home page. They will eventually work on every other page too.